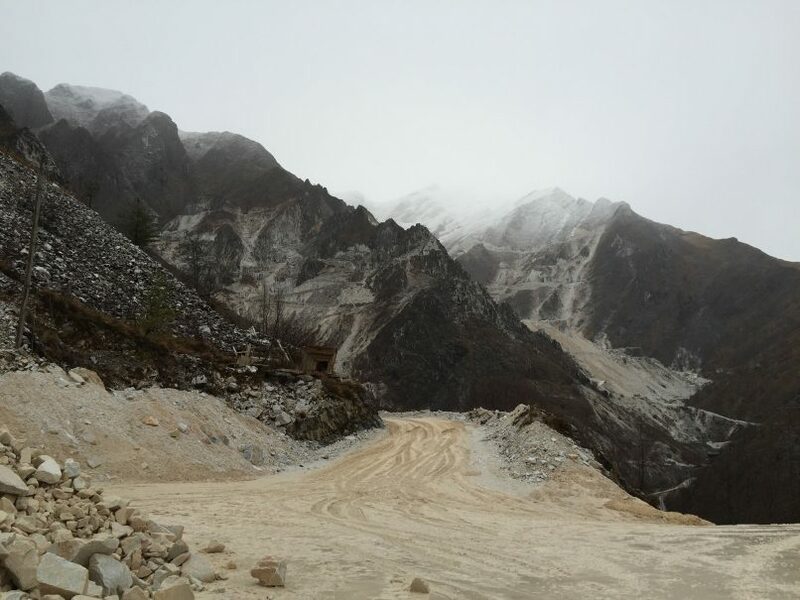 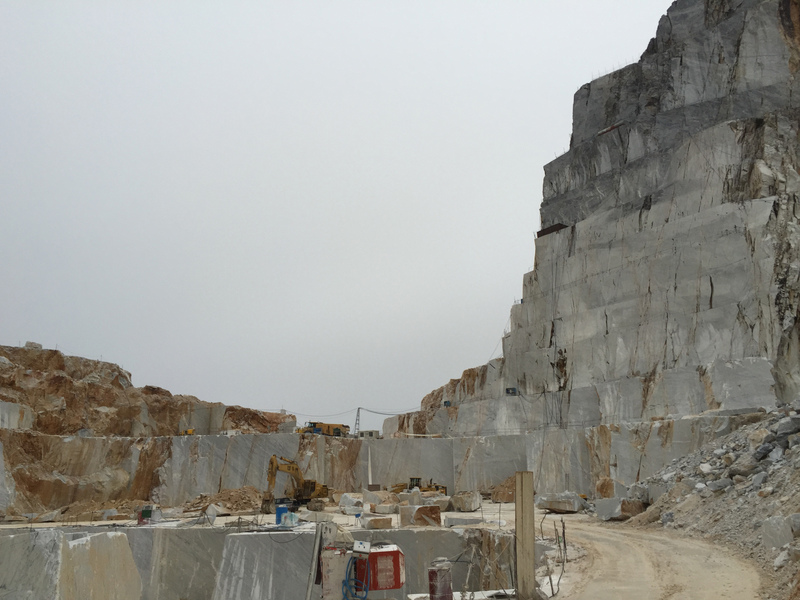 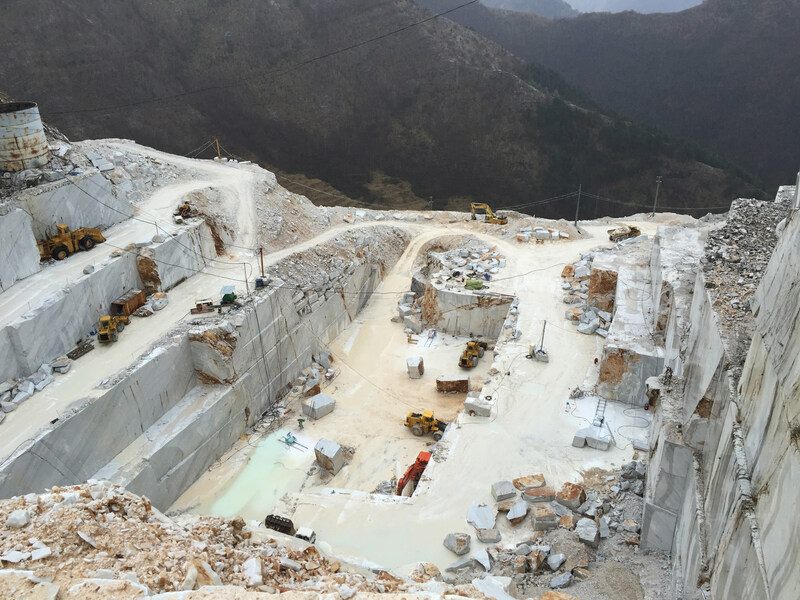 Projects regularly call for visits to the north of Italy, to inspect samples of marble and onyx. 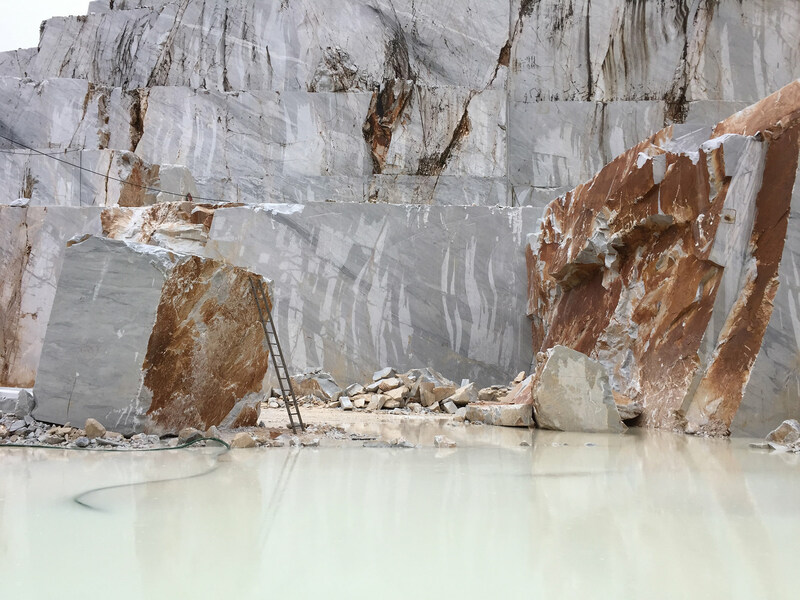 On occasion these trips do not end in the stone yards of Pietrasanta in the foothills of the Apuan Alps, but continue up to the working faces of the mountains, to quarries first opened by the Romans more than 2000 years ago. 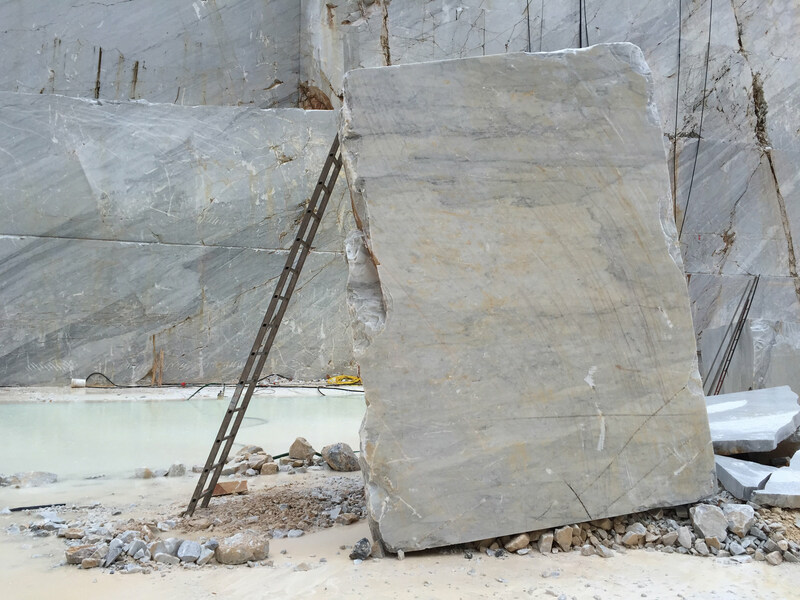 As each new block is cut, the precipitous geometry of ledges and sheer drops is redrawn.